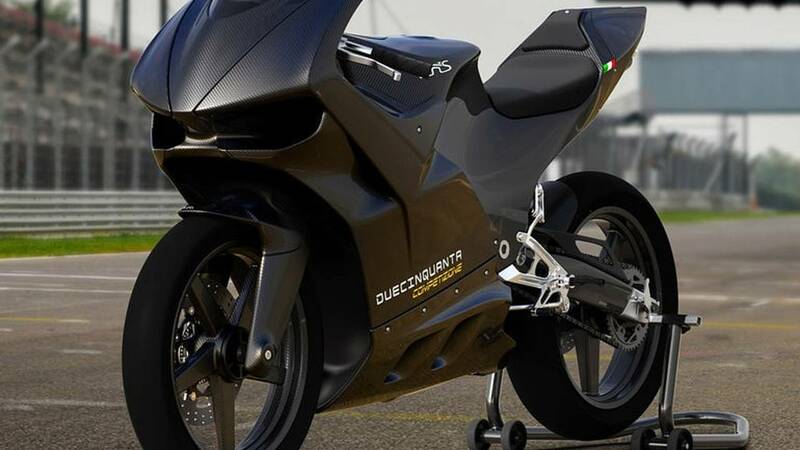 A group of former Ferrari F1 engineers have come up with a trick 250cc two-stroke sportbike in a carbon fiber package. Ask anyone who’s ridden a light, powerful, 250cc two-stroke on road or track, and an enthusiastic reply is usually forthcoming. The memory lights up their eyes, descriptions of acute handling, knife-like precision, and mighty acceleration are accompanied by hand gestures and body language. The new Duecinquanta, produced by boutique Italian bike maker Vins, is likely to provoke similar excitement among the ring-ding faithful. Vins' first bike, the 100cc Powerlight V-twin prototype, broke cover a couple years ago in Milan featuring a carbon fiber monocoque frame, wheels, swingarm, and Hossack-style fork. The cylinders were canted forward at 90 degrees, with the airbox between them and the radiator in front of the fuel tank. The new Duecinquanta (which means 250 in Italian) has nearly all the same features with the addition of the bigger engine. The track version is rated at 80-plus horsepower and has a wet weight of little more than 200 pounds. Vins reckons it’s good for 149 mph. The power specs for the road model have yet to be released, and will likely depend on the state of tune required to pass the Euro4 emission standards. 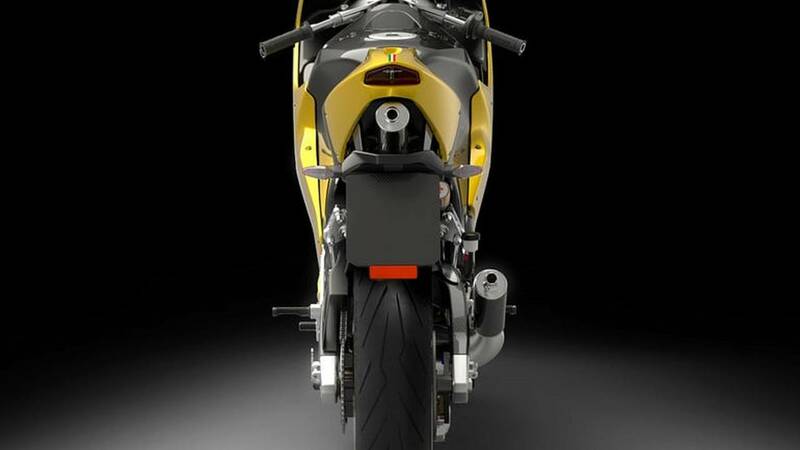 The company puts the street version at under 230 pounds, with a top speed of 124 mph. By comparison, the last favorite 250cc two-stroke track-scratcher, 2004's Aprilia RS250, made 60 horsepower and weighed just over 300 pounds. 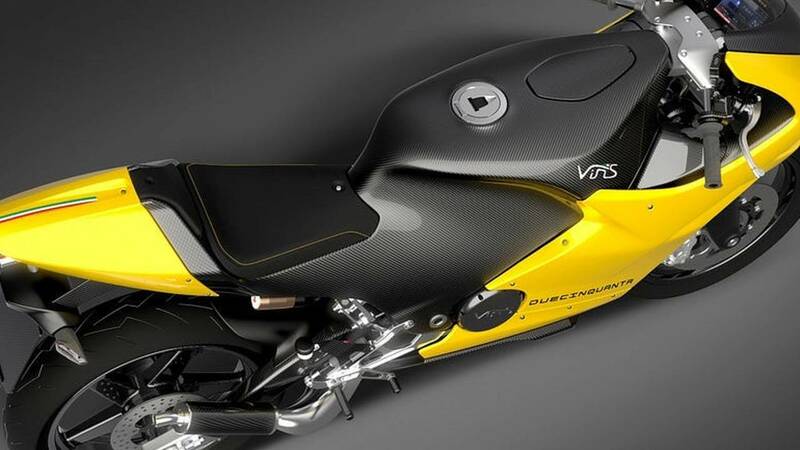 if Vins can get the Duecinquanta homologated for the road, even if the final version comes in at around 250 pounds and makes close to 70 horsepower, boy racers worldwide are sure to be overjoyed. Of course, given the proliferation of carbon fiber adding all that lightness and cost, the Due’s price will remain a formidable barrier for most riders. The road model is listed at just over $48,000, and the 288cc competition version goes for a tad over $60,000. Perhaps an econo-version with components of less expensive materials will eventually be offered to the proletariat. Even a 300-pound sporty with a ripping two-stroke V-twin sounds pretty good.